Burr, Terra-cottas from Myrina (MFA), no. 098. 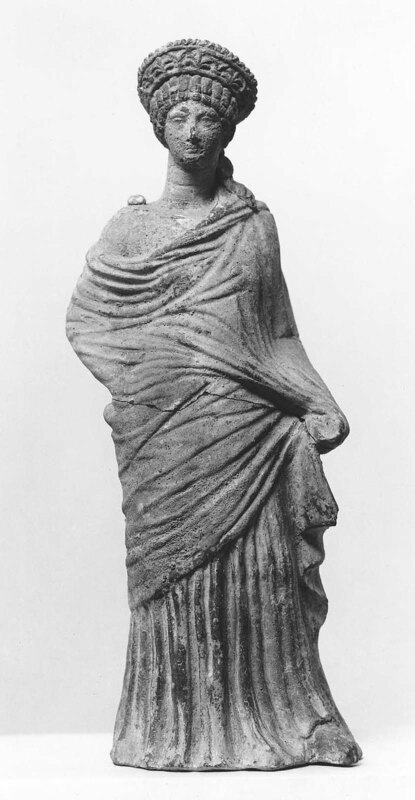 Statuette of draped standing woman who looks to the right. 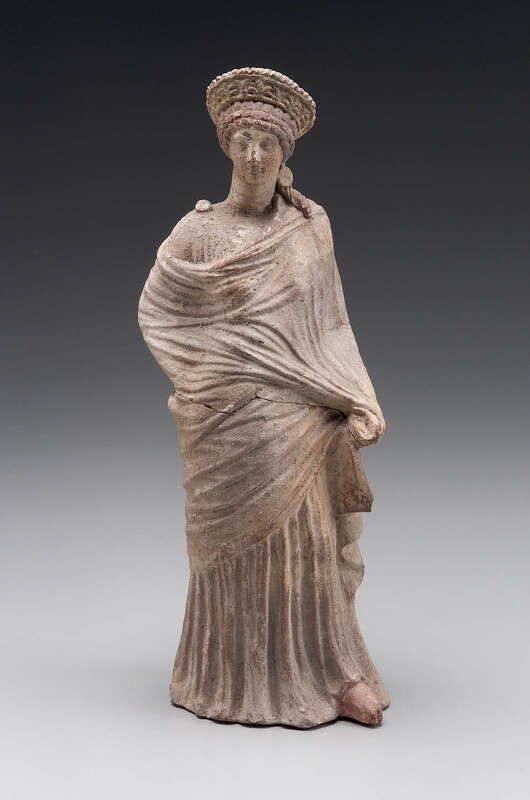 She is dressed with a chiton and an himation, which cover her body and leaves the right shoulder free. She holds part of the himation with her left hand. She has her hair in flat waves with three rows of curls in front, beneath an elaborate crown (stephane) with a relief design of palmette and lotus. A curl ornamented with a disk hangs down her left shoulder. She wears thick-soled forked shoes.The figure belongs to the group of draped women who were found in graves and were the companions of the deceased. The statuette has a hang-hole on the back. It is made from the same mould as no.87.382. They are practically identical. Pink flesh color on the right upper arm; white slip; cream color on garments; red lips; black on eyes; red on hair; yellow on stephane and bangle; red on shoe. Broken at the waist but repaired.